I'm not the hugest pumpkin fan but I like how it can make desserts taste like fall. 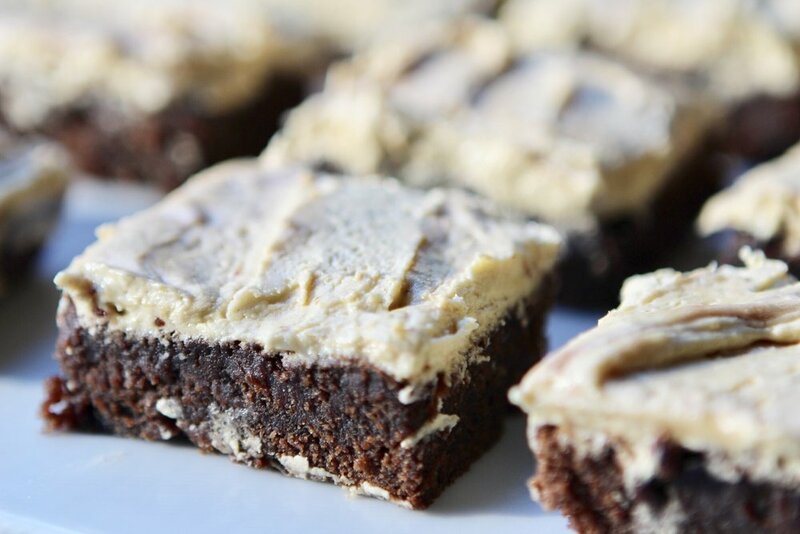 I gave these pumpkin brownies a shot a few years ago for Thanksgiving and they were a huge success! Everyone crushed them and said that they were their favorite dessert. I also was a big fan of how easy they were and how good they tasted so I've made them again over the years. I think that they are a great dessert for any fall related party or Saturday night at home! Spray the bottom of a baking dish/rectangular pyrex. Take 2 T of pumpkin purée out of the can and set it aside for the icing. Combine the rest of the pumpkin purée and the boxed mix in a large bowl. Add 2 T of vegetable or canola oil. Stir to combine. Pour the mixture into the baking dish and bake for 20-25 minutes or until you can insert a toothpick in it and it comes out clean. While the brownies are baking, make the icing with a bowl and mixer. Place 1/2 cup of softened butter in your mixing bowl with a fitted paddle attachment and beat until light and fluffy. Add the powdered sugar, vanilla and pumpkin spice to the bowl and beat slowly until it looks wet and then beat on medium speed for 2 minutes. Gradually add the 2 T of pumpkin purée and beat for another minute. Wait for the brownies to cool and then spread the icing on top of the brownies.